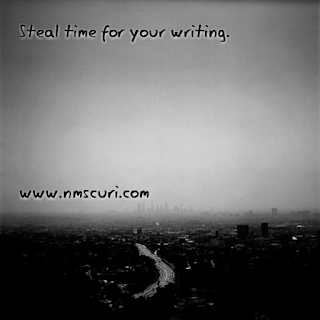 I have discussed the need to guard your writing time. 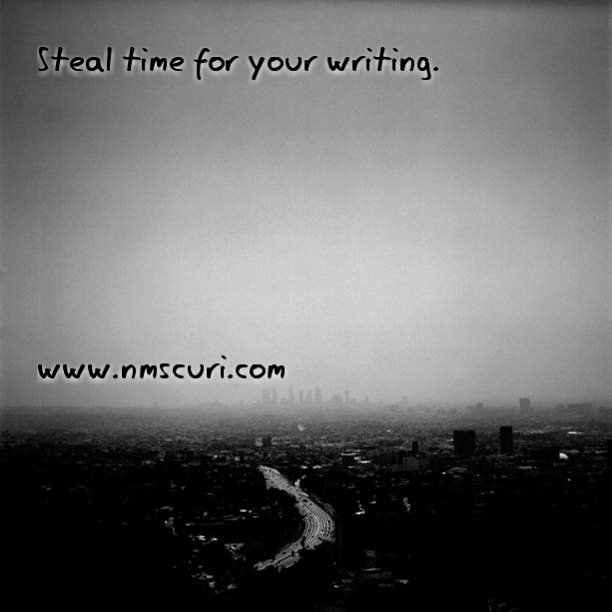 You have to carve out more of it, too. Think about all the times you have to wait. These are the times you would normally grab your phone and check Facebook or your email. Instead, why not jot down ideas for your work in progress? Keep a small notebook with you, or add a quick note on your phone. You can keep written notes, or record audio/video. Take pictures of people, places, and things that inspire you. Keep them in a folder on your phone or create a private Pinterest board. The options are limitless. Try different methods and see what's best for you. Let me know in the comments what you use.